Home › Electronics › Topcase 2 In 1 Retina 13-Inch White Marble Rubberized Hard Case And Keyboard ..
Topcase 2 In 1 Retina 13-Inch White Marble Rubberized Hard Case And Keyboard .. 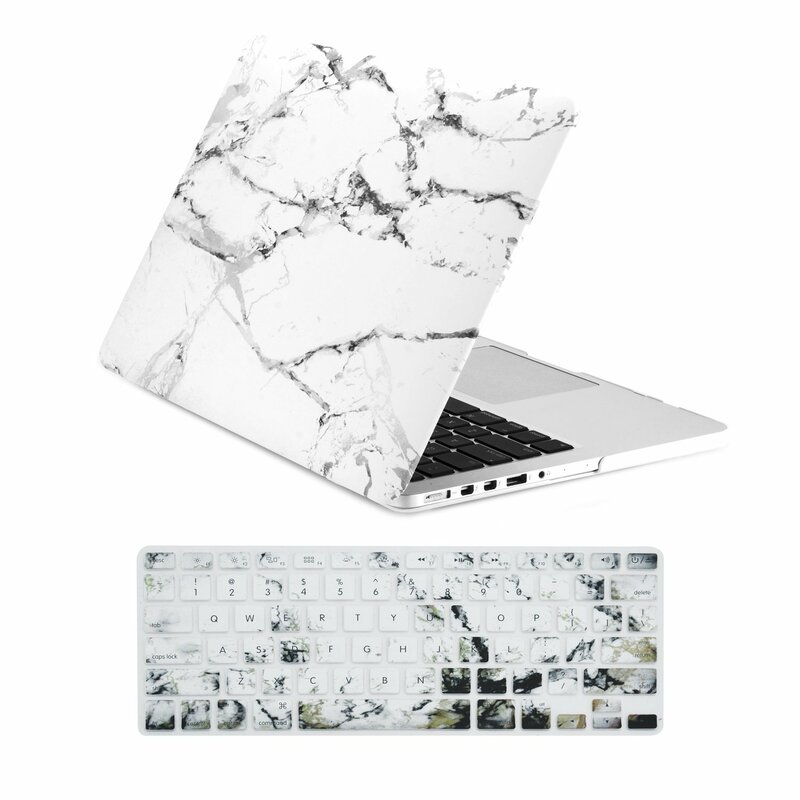 The popular marble pattern case will add a luxurious look to your laptop! Size:Pro 13" w./Retina A1425/A1502 | Color:White TopCase® Marble PatternHard Case This popular marble pattern case will add a luxurious look to yourlaptop! This ultra slim case is light weight yet it is durable and longlasting to protect your laptop from everyday use. Our case is engineered to besnapped on and off easily. You can conveniently have access to all yourbuttons and ports when the case is on. All of our cases are made with thehighest standards so that your laptop is always protected from scratches,dints, scrapes, spills and dirt. This is a limited product and is exclusivelyours. Case COMPATIBLE with Apple Macbook Pro 13.3" with Retina Display:Model - A1425 MD212LL/A, MD213LL/A, ME662LL/A ME664LL/A Model - A1502ME864LL/A, ME865LL/A, ME866LL/A Case NOT compatible with: Macbook 12" MacbookWhite 13" Macbook Pro 13 Inch without retina display Macbook Air 11" and 13"Macbook Pro 15.4 with/without retina display The model number can be foundon the bottom of your laptop in between the two hinges in the format AXXXX. Apple MacBook are registered trademarks of Apple, Inc. Products are Applecompatible and not endorsed by Apple, Inc.